Despite steady growth, Benin’s economy still struggles to provide meaningful poverty reduction and employment opportunities. As youth in particular seek jobs in urban centers, unemployment is a critical issue in transforming Benin’s economic growth into prosperous livelihoods. Having long depended on trading with Nigeria and inland neighbors thanks to a competitive port in Cotonou, the devaluation of the naira and big port investments in neighboring countries have severely eroded this source of revenue, leading to falling median incomes and rising poverty since 2011. As a result, the economy needs to diversify and increase value-creating activities, taking advantage of new strategic opportunities to generate prosperity. Agriculture provides a unique opportunity to bolster employment, entrepreneurship, and food security, and the cashew sector in particular is ripe for success. TechnoServe is working to expand economic opportunities in Benin by helping farmers, agribusinesses, and entrepreneurs to raise their production levels and connect with lucrative markets, while creating jobs in rural areas. 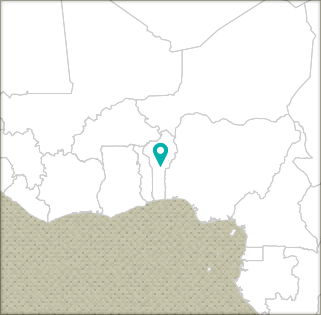 Visit TechnoServe Benin's country website (in French). BeniBiz is a business accelerator that – in collaboration with the BOP Innovation Center, the Netherlands Ministry of Foreign Trade and Development, and the Swiss Development Cooperation (SDC) – aims to provide food and agribusiness entrepreneurs the skills they need to build prosperous businesses and economies, and food-secure communities. By providing business training and technical assistance to burgeoning agri-preneurs and nutrition sales agents, BeniBiz will help these businesses to increase sales and job opportunities within the local community. Technical assistance through the project will also focus on building a last-mile distribution network that will help participating businesses to reach poor, “base of the pyramid” consumers, increasing their access to nutritious and affordable food products. Over the five-year duration of the project, BeniBiz will support 2,500 youth and 750 food and agricultural SME entrepreneurs, and aims to help generate $15 million in increased wages and income for rural communities through competitive agribusinesses. Responding to high demand in the global cashew market and the superior quality of their raw product, Benin’s cashew cultivation has expanded more than tenfold in the past two decades. 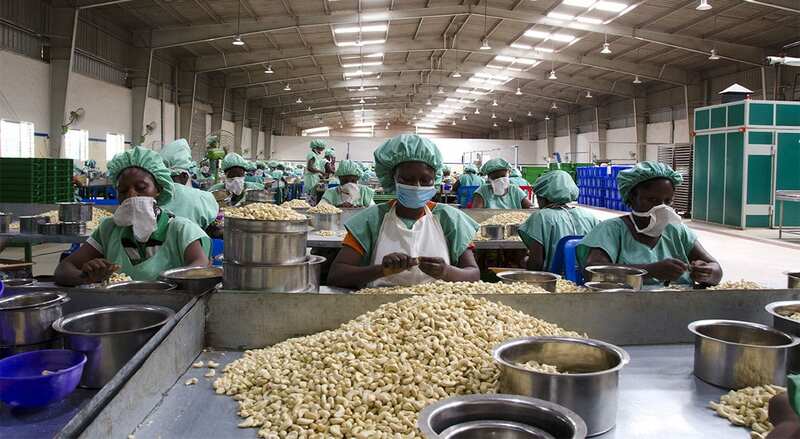 However, processing capacity and other value chain inefficiencies have kept the sector from reaching its potential, and Benin still exports 92 percent of its cashew as unprocessed raw nut. Started in September 2015, with support from the U.S. Department of Agriculture (USDA), TechnoServe’s BeninCajù is a sector-wide value chain approach aimed at strengthening and expanding the cashew sector into a more productive, competitive, sustainable, and inclusive economic growth engine for the people of Benin. Over five years, BeninCajù will work to increase yields and revenues for 42,000 smallholder cashew farmers, triple domestic processing capacity, create at least 3,400 jobs (70 percent for women), catalyze development of the nascent by-product market, and set the sector on a path for continued growth and success. Launched in late 2014, TechnoServe implemented a business plan competition program with funding from the World Bank and working in conjunction with the Government of Benin. This partnership aimed to create jobs by strengthening formal small and medium enterprises, with a focus on high-potential industries such as transportation, construction, and agribusiness. TechnoServe worked with 500 entrepreneurs selected through a competitive application process to develop bankable business plans and build their capacities in key areas of business management and other entrepreneurship principles. By project completion in 2016, 228 finalists were selected through a juried competition, and 137 winners were identified to refine and implement their business plans. Winning entrepreneurs received more intensive, customized assistance, including grant financing, one-on-one coaching, and training specific to their particular sectors from local experts. TechnoServe completed a gender analysis to help the team identify and support women entrepreneurs, and also performed sector analyses to determine which sectors presented the highest sustainable growth potential and could generate the highest volume of potential jobs. By project end, participating enterprises received more than a cumulative $4.8 million in financing, and created more than 2,000 jobs for the local economy. Africa is home to over half of the world’s supply of cashew, a crop that is growing in demand globally as incomes rise and diets change. 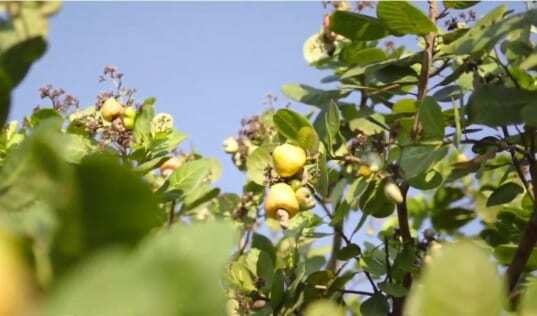 From planting seeds, to harvest, to processing, see how cashews from Mozambique and Benin make it to your table. TechnoServe is working with local entrepreneurs to turn waste from cashew harvests into a new beverage industry for Benin, and a more prosperous future for Africa’s cashew-producing countries. Innovations in the cashew value chain provide women the opportunity to become leaders in their families and communities. TechnoServe seeks a consultant to map farmer plantations and other industry assets located in the key cashew-producing regions of Benin. L'objectif de cette mission est d’établir une cartographie des plantations, des producteurs et autres acteurs de la filière situés dans les principales régions productrices de noix de cajou du Bénin. TechnoServe is seeking an expert cashew agronomist consultant to support the BeninCajù project – focused on strengthening and expanding the cashew sector in Benin. The consultant will assist, advise, and train the government and other relevant industry stakeholders a they move forward on implementing an action plan to increase cashew production.